I am hunting pheasants on the Pheasants Forever property near Coffee Creek, Montana, which the group, through its local partners, worked for years to acquire and restore, purchasing a conservation easement on about 800 acres of private land that abuts another 1,200 or so acres of state lands, and planting tens of thousands of forage-rich shrubs and establishing feed plots, security cover, nesting and brood cover, and, in general, maximizing the capacity of the land to support gamebirds (and, with them, every kind of wildlife and bird native to this part of the Montana prairie). The property, with all its wonders, is open to any member of the public willing to walk in. I try to come here every year in the middle of December, when the days are short and most people have quit for the season. It is cold, austere, windy, and lonely—perfect for dog and man to roam and hunt. 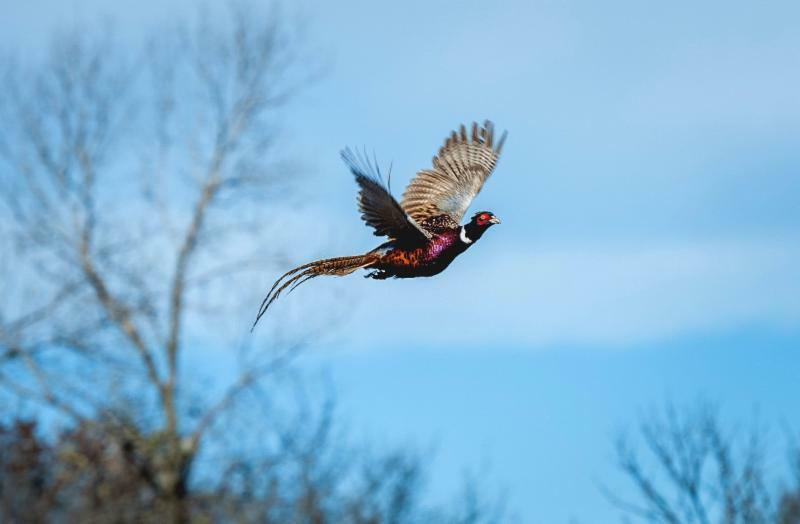 A lot of hunters will be surprised, as I was, to learn that Pheasants Forever is actively buying easements and properties and restoring or creating habitat for upland birds, across the U.S., for the sole purpose of making sure there are plenty of birds, and plenty of places for public hunters and their dogs to chase them, in a time when upland bird habitat and hunting access is in severe decline. Pheasants Forever is holding its annual Pheasant Fest this weekend in Schaumburg. For more information, go here . I stopped and enjoyed the vocalizations. The long howls were interspersed with sharp yips, sounding like multiple animals. It lasted for several minutes. I never tire of that sound, no matter how many times I hear it. And this time of year, I enjoy the coyote concert frequently. Coyotes are one of the most vocal mammals. And they’re also now found widely, so if you live in North America, there’s a good chance that you have some roaming near you. You can hear them at any time of year, but you may notice increased activity in February and March. 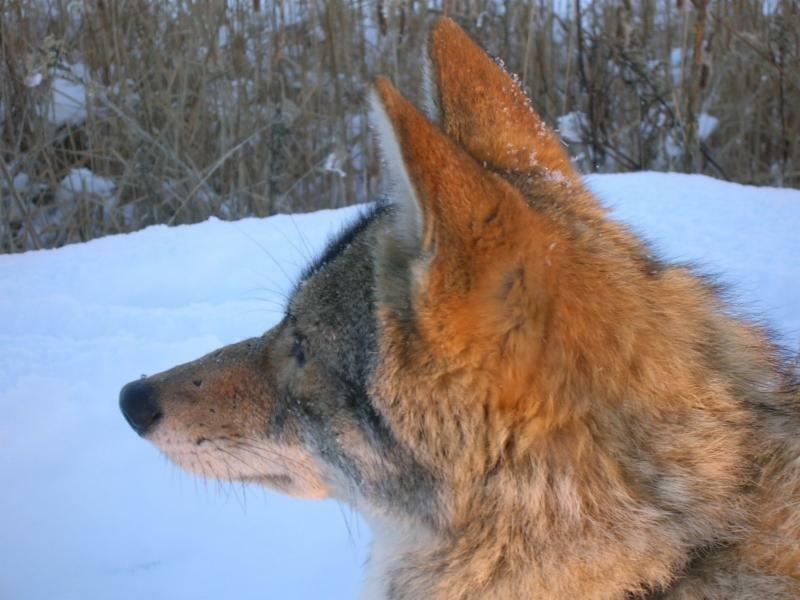 You can learn more about coyotes on Friday, March 1 as Dr. Stan Gehrt presents a McGraw Speaker Series on McGraw’s coyote research. Dinner is included – more information is here . The early-morning January sun gave off considerably less heat than a light bulb. All we had to eat was a communal bag of venison jerky, a satsuma and, eventually, the hunk of dark chocolate I had kept hidden in my pocket until I felt too guilty. I had a million questions, but you’re not supposed to talk much when you’re waiting for geese. I had a shotgun, but I had never killed an animal. It didn’t matter because there were no geese, anyway. After about five hours, a small flock started to land in front of us. Someone yelled. “Take them!” Everyone except me stood and fired. 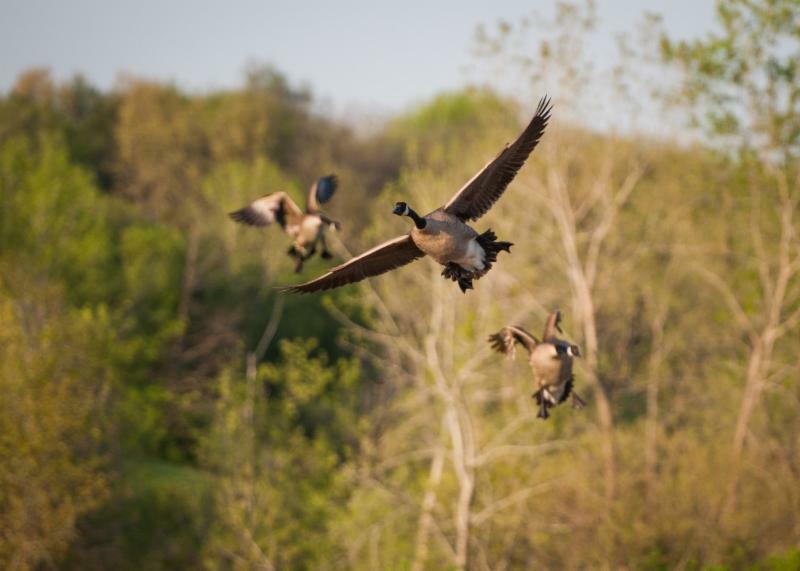 Two Canada geese fell. A dog named Tug brought them to us, and we packed up and headed to the kitchen to cook what Wade Truong, the chef who invited me here to hunt, calls the rib-eye of the sky. 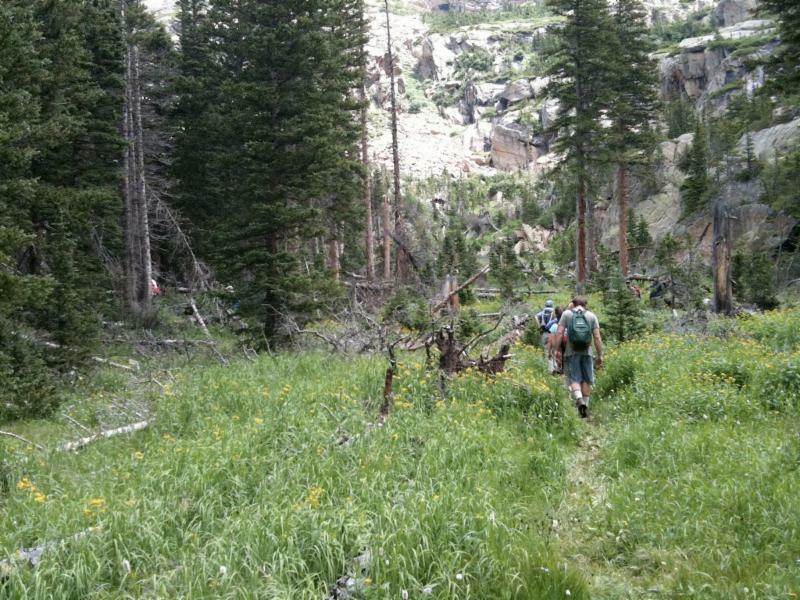 The idea that spending time outdoors can be good for you is nothing new. In fact, doctors in Scotland have started prescribing nature to treat common conditions such as anxiety, depression and high blood pressure. But does fostering a love of nature and the outdoors have to start in childhood, or can adults who never spent much time in nature learn to love it — and benefit from it? We have Dingell to thank for the continued existence of these and many other creatures because the former Michigan congressman, who died this month at 92, was a lead author of the Endangered Species Act. The landmark 1973 law protects about 100 bird species and has prevented the extinction of 99 percent of the species it covers. 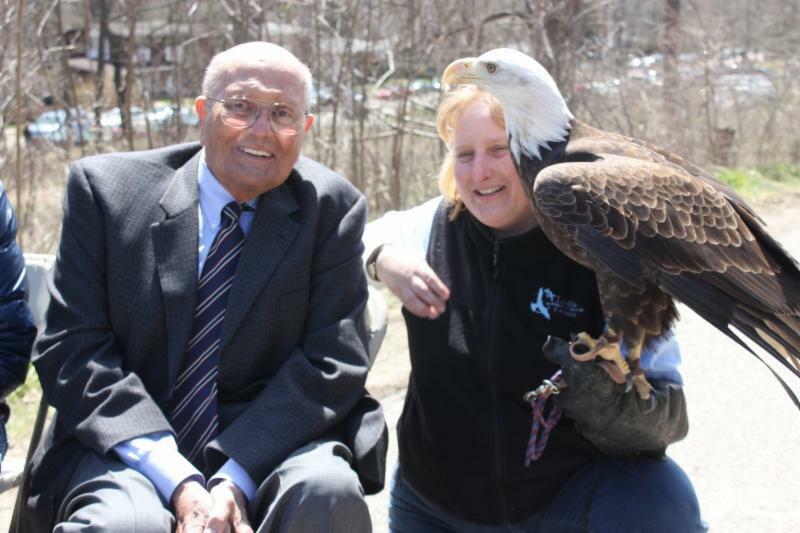 “Our country was the first to say that only natural extinction is part of natural order; extinction caused by human neglect and interference is not,” Dingell wrote to mark the law’s 40 th anniversary. That law alone would earn him a place in history books and the hearts of conservationists. But Dingell, a Democrat whose 59 years in the House made him the longest-serving member of Congress in history, also helped to hoist just about every other pillar of this country’s conservation and environmental policy.